As the New Year starts, many people find it the perfect time to identify areas of opportunity to improve themselves. In addition to making resolutions for their personal lives, many people also focus on creating resolutions for the workplace. To support this process, our team of Deltek Vision experts at Full Sail Partners has put together a list of New Year’s Resolutions for Vision users. Make sure your firm is using the most current version of Deltek Vision. The latest version is 7.6 and is full of new enhancements. Learn more about Vision 7.6 in this article. Clean up duplicate records in your Vision database, specifically the Vendor and Client records, to prevent billing errors and other problems. Go paperless for Accounts Payable (AP) Invoice Approvals that require consultant/project manager sign-off. Setup a yearly reminder for the accounting department to run the 1099 Initialization process after all AP checks have been processed for the year and before any AP checks are processed in the next year. It can be run in either period since it is not period specific. This process transfers the “Paid This Year” amount to the “Paid Last Year” field on the Miscellaneous tab in the Vendor Table Maintenance and resets all vendor “Paid This Year” values to zero. Start using Revenue Generation in Vision to allow for recognizing project revenue as it is earned, matching revenue with expenses incurred to data. Without this, Vision recognizes revenue only as it is billed. Stop printing reports for directors and project managers. Instead, have them use the Vision Dashboard. Custom Dashparts can be created to give each user individualized information that is relevant to them. Remember to never un-post or create journal entries to control accounts. This is more about accounting best practices. Login to Vision more often than timesheet completion requires and manage your timesheet frequently to avoid over or under billing clients. Take the time to understand and implement standard functions in Vision such as Expense Report Approvals, using Benefits Accruals, and Account Groups for General Ledger Reporting to decrease workload. Plan to attend more Full Sail Partners’ webinars to learn helpful tips and new tricks in order to fully harness the power of Deltek Vision. Check out our past webinars here. With each New Year comes both potential opportunities as well as challenges. Begin this New Year by following these resolutions. Do more with Vision and save your firm much wasted time. By the way, as you are closing up last year, check out our recent article about Year-End processes for Deltek Vision users here. Do you have a tip of your own? 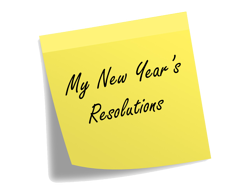 Comment below with your New Year’s Resolutions for other Vision Users.